In MedWhat’s lawsuit against Stanford University, the company claims of fraudulent use and abuse of convertible notes by venture capital investors in Silicon Valley to steal IP and use MedWhat temporarily for alternative motives beyond the financial success of MedWhat. MedWhat claims that a minority group of its investors used in bad faith a convertible note to have access to the startup’s private information such as technology, business model, customers’ info, market strategy, product and technology roadmap. The lawsuit claims the investors used that IP and information for other competing investments and strategies, for positioning the fund in the medical artificial intelligence industry space for signaling to their limited partners and other partners and stealing information after the note was triggered for conversion. The investors refused to convert after a Qualifying Financing Round event and another event where the majority of noteholders voted to convert. MedWhat claims these private equity venture capital investors expressed at all times at the time of investment their only desire to own equity in MedWhat and its financial success for ROI, and that the convertible note was only an instrument to wait for a later on valuation while the company matured, which at point in time the note would convert to equity at a previously agreed cap price. The basic premise in the claim is that a VC invests in a startup through a convertible note, the VC has access to the startup’s information for the duration of the note and can use the fact they are investors in that startup to navigate the artificial intelligence industry for influence and networking. And when the convertible note expires in two years, the investor asks the convertible note principal back, having extracted value and precious information about the startups technology, all done with little risk by getting their entire investment back plus interest. If the note automatically converts to equity by an agreed triggered event clause in the contract, such as raising $1.5 million in equity, the lawsuit claims the investors boycotted the conversion to prevent being stuck with the equity of the startup after they have used the company for their own alternative reasons beyond the startup financial success. The lawsuit claims this behavior qualifies as false advertisement, fraud, securities fraud, and Intellectual Property Infringement. Beijing-based Jenny Zeng from Magic Stone (MSA Capital) invested in MedWhat in 2015 while at the same time according to claims in court documents Magic Stone was hiding and lying during due diligence about the fact they were investing in MedWhat’s direct competition and had conflict of interests that could damage MedWhat down the road. The competing company Sense.ly also builds medical artificial intelligence and virtual medical assistants. 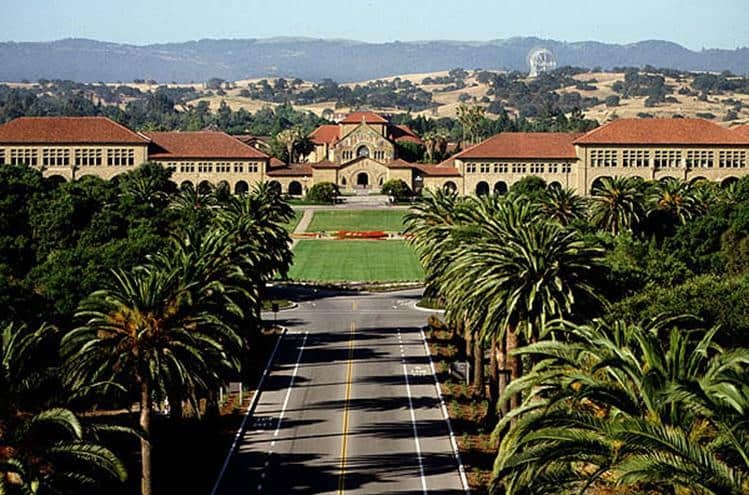 Another MedWhat investor that invested in Sensely without disclosing was Stanford University’s Stanford-StartX Fund and fund managers Suzanne Fletcher and Susan Weinstein. MedWhat claims Stanford had invested in Sensely the exact same period of time they invested in MedWhat’s Series A. MedWhat claims they met Magic Stone through StartX, the Stanford University accelerator. When the convertible note Magic Stone invested in MedWhat which automatically converted into equity in 2017 when MedWhat raised more than $1.5 million in preferred shares equity from investors. Court documents show $1.5 million was a note conversion triggering event which a minority stake of investors refused to abide per the contract. The lawsuit claims Magic Stone, Regent Capital, Caixa Capital Risc, StartCaps, IncWell obstructed and boycotted the note conversion and did everything possible to destroy MedWhat by spreading false rumors about the company to the majority of other investors in order to break the contract. Documents claim they wanted the note back and didn’t want to have equity anymore in MedWhat as they have already used MedWhat for their alternative motives beyond the success of MedWhat. The lawsuit claims the behavior of MedWhat’s investors is described as being full of conflict of interests, knowingly committing unethical and illegal acts, lying, and fraud against MedWhat. The company’s leadership says they agree in competition but in fair competition, and that there’s a fundamental lack of transparency, honesty, good faith and fair play in these VC funds.